I have been thinking about what product I buy that I might be able to make up myself with supplies that I already have in my home and it occurred to me that I spend quite a bit of money on dishwasher detergent and would love to figure out a lower cost solution to a quality dishwasher detergent instead of continuing to buy boxes of Seventh Generation powder detergent. Personally, I like powder better. I think it works better in my dishwasher. Directions: Just pour all of the ingredients in a container and stir together until well blended. Use as you would any other powder dishwasher detergent in your dishwasher. Homemade Dishwasher Detergent (with name brand lemonade & non-sale prices) = 7 cents/oz. Homemade Dishwasher Detergent (with store brand lemonade) = 6 cents/oz. 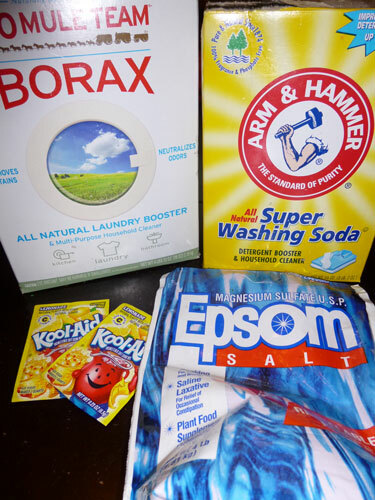 You could save even more if you buy the washing soda, Epsom salt & borax when there is a sale price. So, what does that mean as far as dollar values? It means if you made homemade dishwasher detergent with store brand lemonade & everything is regular price it will cost you $2.70 to make 45oz. Whereas the store brand eco-friendly dishwasher detergent would cost you $5 (non-sale) or Seventh Generation $6 (non-sale). So, as you can see the savings are about half when you compare them to the regular store prices. I am not exactly sure how much dishwasher detergent I go through, but if figure I use a box & a half a month that adds up to a savings of about $25/year. 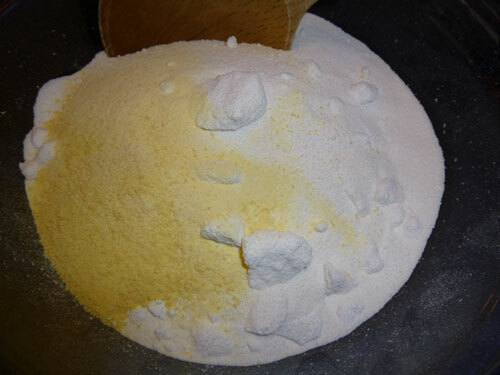 You can also use the washing soda & borax to make Homemade Powder Laundry Soap. Both the borax and the vinegar are great for regular natural cleaning around your home. And the epsom salt is great for making bath salts, which also make great gifts. What kind of vinegar do you use for the rinse aid, or does any kind work? I buy a gallon jug of white vinegar of whatever is cheapest. Most white vinegar is the same acidity, but I did notice that ValuTime is just a little bit lower and didn’t work quite as well. But Food Club & Heinz & the store versions at other stores all have said the same acidity. I tried this for a few months a few years ago but the Borax left a film on my glasses that would not come off:(. I wonder if you can skip the lemonade. Does that just give it a pleasant scent or does it help in the cleaning? Interesting. How long have you used this formula? I assume the lemonade is for the citric acid….I have some on hand from making bath bombs a while back, perhaps that would work instead of the lemonade? Also, have you tried kosher salt instead of epsom salt? 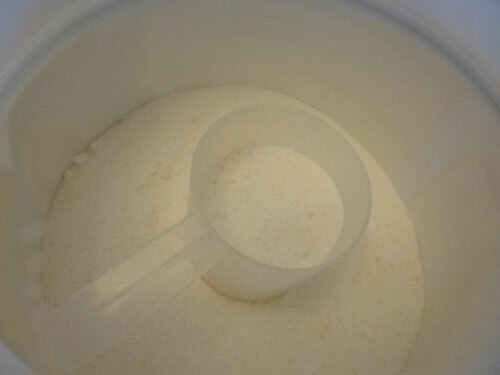 Curious one works better that the other…epsom salts seem really chunky. Thanks. Yes, the lemonade is for citric acid. I am not sure how much citric acid you would need if you use that instead. I have not used kosher salt, the epsom salts I have are pretty fine, but I do know what you mean about them being chunky as I bought one in a carton one time that were chunky, but these in the bag are fine.